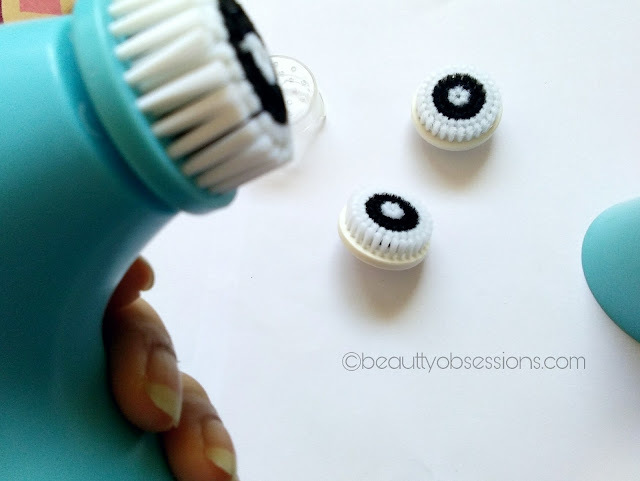 Oriflame Skin Pro Cleansing System Review..
"A cleansing machine works 8x more effectively than washing using your hand. 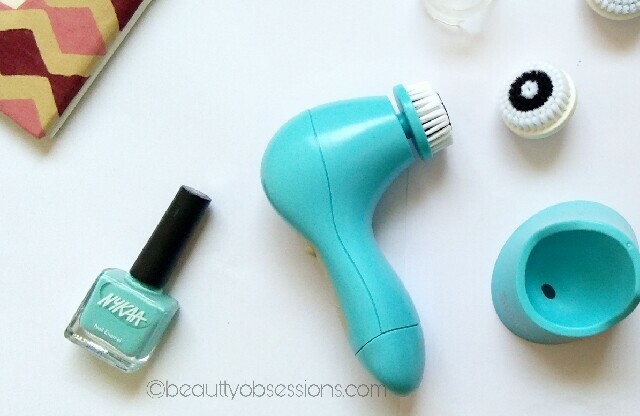 The cleansing machine clean deeply and makes the pores less visible. 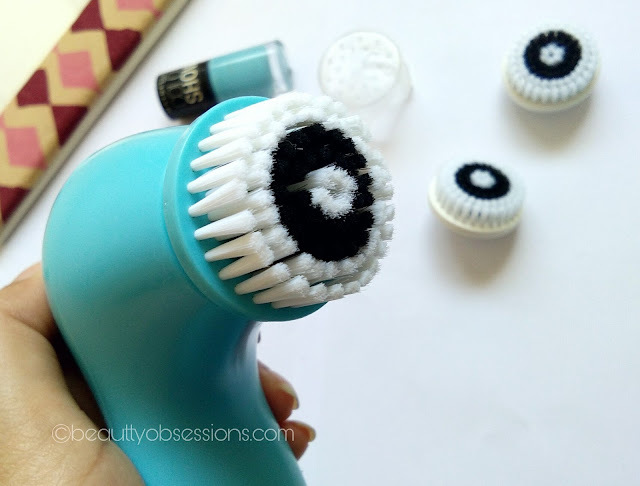 It also exfoliates skin thoroughly, hence no need to apply extra exfoliator very often. It increases blood circulation in the skin surface, which results smooth and glowing skin. It rejuvinate skin texture and gives a nice soft healthy looking skin gradually... 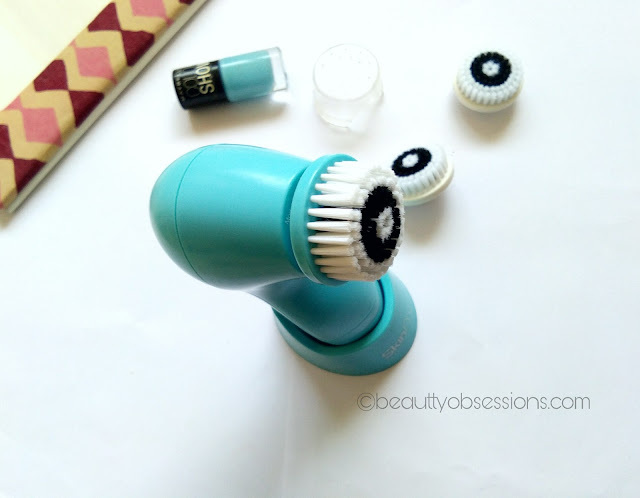 Hence a cleansing machine is very essential in your vanity..."
MY EXPERIENCE - This is my first ever cleansing machine and trust me I am falling in love with it, you can say love at first sight... The first thing is, it looks super cute in the light blue colour... I have a nail polish of the same colour... Second thing is, it is so handy to use and even to carry in purse... 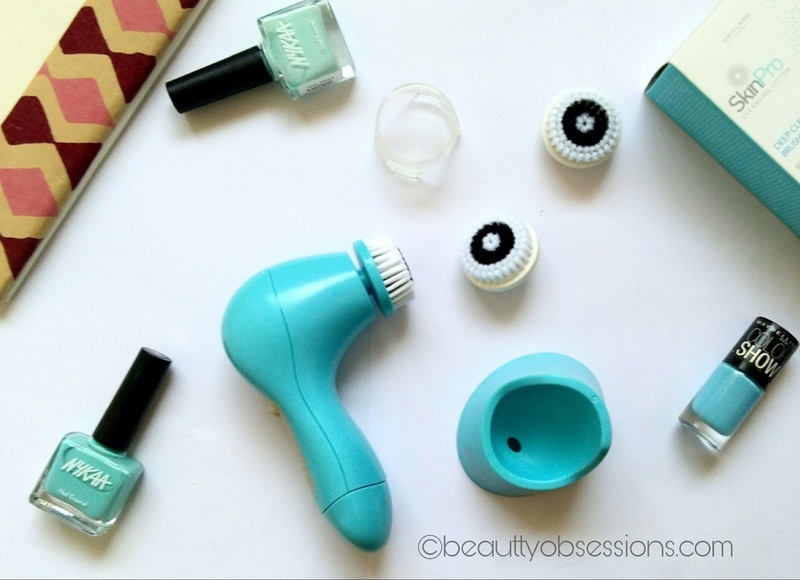 I love such cute and easy to handle products. When it comes to the performance, I must say that, it has changed the definition of cleansing skin for me... I have tried with both the brushes as of now... It cleanses skin so deeply and makes it super soft and clean. 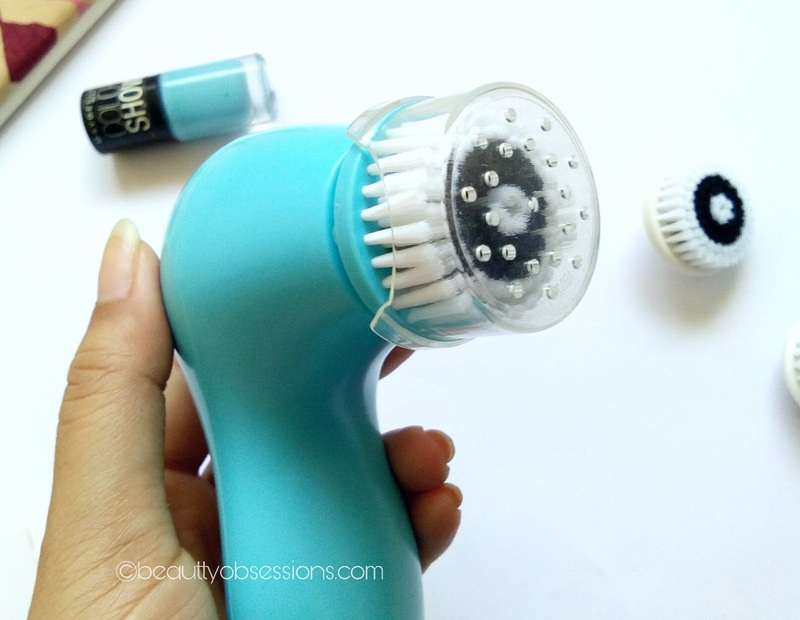 The brush heads are so gentle on skin (specially the sensitive head one). Now a days I don't prefer using my hands for applying cleanser, I use this beauty twice a day regularly... There is a pre-setting 1min. button, you have to just click on that button and here it starts and after 1min. it will stop automatically. There is also a speed control button, but I love tO use in high speed. Hope you find this review helpful... See you in my next post..
Im just drooling over your pics, they are so good. This sounds really good for the skin and you'll get a nice deep cleansing. 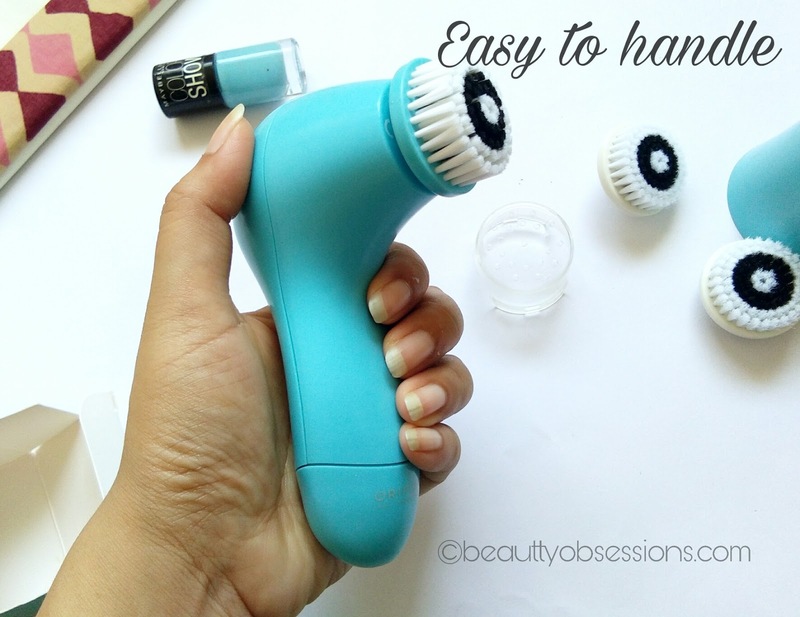 I always wanted to try this..but the price is a speed breaker for me..But it is their in my wishlist and I would love to use it.Also I agree that such devices get initial breakouts.. Yes the price is Really high but in Amazon it's in discount I think... Do check out there.. I wanted to try this. But it's too expensive.